Maco PKG provides the complete spectrum of services to package your product, from the initial prototype stages when a model example is rendered, to the final assembling process. Your success is our priority and your convenience is our consideration. Our consultation services provide you quotes, suggestions, and advice from our qualified staff members who, through extensive experience, understand what makes packaging successful. During our prototype stage, we create an example of your product for dual purposes. The prototype provides not only a model to which the continuing runs may adhere, but also free samples for trade show giveaways. For the initial steps, you decide what properties you want your packaging to have, such as heavy duty, medical, or organic. We then analyze which materials are best suited for the overall purpose. Once appropriate packaging is rendered during the modeling stage, we then proceed to manufacturing and assembling. We ensure our stock of supplies is always full to accommodate large runs. Our warehouse offers available storing for your product for a limited time. 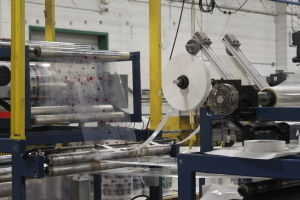 With Maco’s technical know-how and flexible packaging design expertise, you are not alone. Maco’s experienced project managers ensure high quality technical service for the success of your product. Our research and development team assist with packaging innovation, either improving your existing package system or inventing a new one. We help you work out the kinks with rapid prototyping, trial runs, and samples. Every process is tightly monitored and controlled by distinguished, well-known agencies such as ISO:9001:2008, FDA, and Kosher. From design and engineering, all the way to sourcing, manufacturing, quality control and co-packing, our services encompass all of your needs. 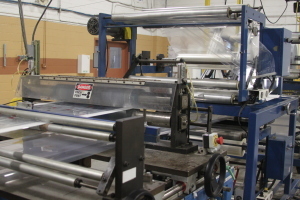 Dedicated to rapid turnaround rates and with an accommodating staff, Maco PKG prioritizes your needs. Discover what we can do for your business. Give us a call at +1 (315) 226-1000.